I’ll preface this by saying: I’m not into big headphones. I just don’t get them. I never understood it when people began wearing them at the gym during the big Beats by Dre explosion. I mean, I was always in search of “minimal”. I think it may also have to do with the fact I’m a girl and there’s the whole hair thing with proper over ear headphones. 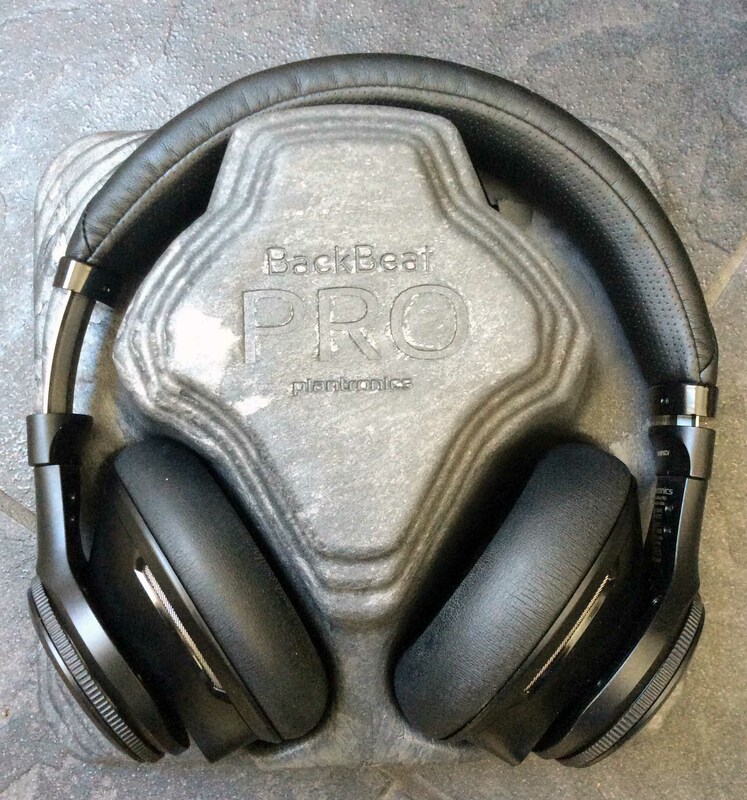 Well, just before Christmas the wonderful people at Plantronics sent me the brand spanking new BackBeat Pro Noise Canceling – over the ear – bluetooth headphones for review – wow, that’s a mouthful! I will point out, despite being sent them for free, that has not affected my opinion in this review. It was an exciting day when these puppies arrived. Look at this! They come in a specially moulded box. A little overkill, but damn they sure look the bomb! Since opening them I haven”t really gone back to the box, but I just can’t bring myself to throw it out either. They do, however, come with a soft fur-lined carry bag. It’s the perfect size to pack in your carry-on if you’re flying anywhere – because public and planes is where these babies really shine, but I’ll get to their usefulness later. Not sure if this is standard, but mine came fully charged. In fact, I’ve used them for hours and have yet to charge them. No joke. So, straight outta the box and onto my noggin’. Well, not quite, there’s a small learning curve. There are a lot of buttons and switches dotted all over these, which is at the same time useful and annoying. At the back of the moving part of the ear piece you’ll find the power switch. To the right of that, on the headphone piece is a toothed toggle that rotates forward and back for volume. On the flat part (as though you were going to plug your ear) tap and hold the call button for 3 seconds (if your smartphone has a voice-enabled assistant) and wait for the phone prompt. Otherwise, you can also answer or end a call using that button. On the very bottom is a small button that acts as an “open mic”, meaning you’ll be able to hear your surroundings. In the same spot as the power switch on the right ear, on the left you’ll find the ANC, active noise cancelling, switch. Why you would ever switch it off once it’s on is beyond me. 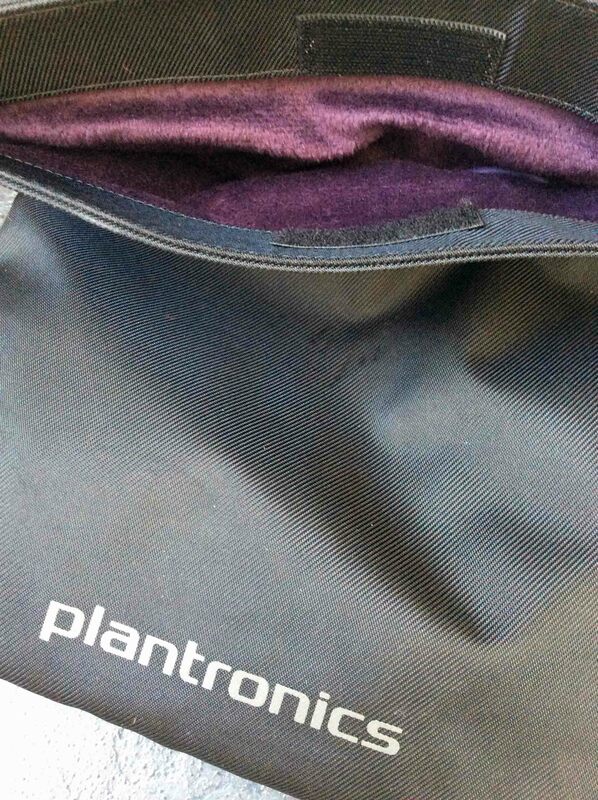 Moving along… Next to that, moving outwards, is that toothed toggle again. On the left side it controls track selection, forward or backwards through your playlist. Finally. tap the push button to pause playback. I find myself hitting these push buttons on either side often – especially if I’m simply trying to slide one ear off to hear something. Come to think of it, I’ve also shuffled through songs doing the same thing. I realize there is no other alternative with bluetooth, but just so you know. 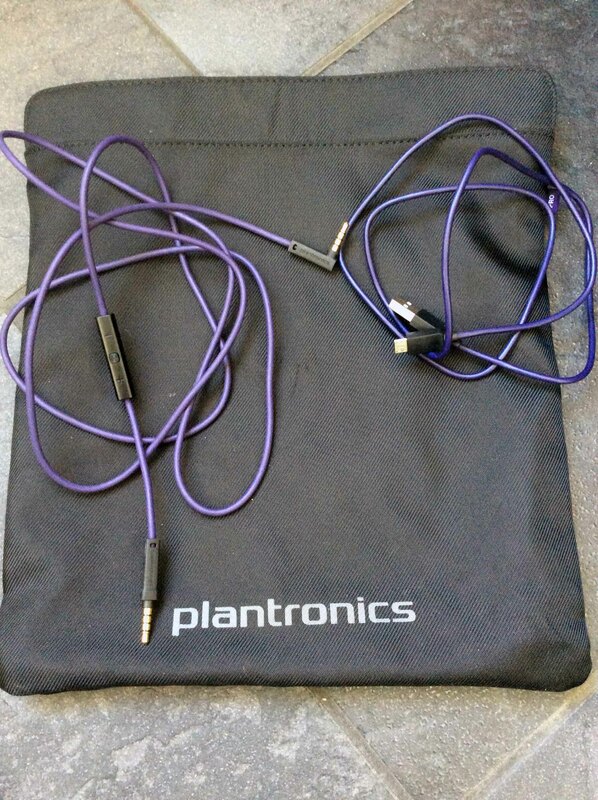 In the bag: a hard wire, so you can plug ’em in when needed – like on an airplane (more about that later) – and a USB wire to charge them. The hard wire also has a volume control switch. As you may or may not have guessed, I’m writing this review while flying. It seemed appropriate. I’ve tried wearing these to the gym, but I just can’t do it. 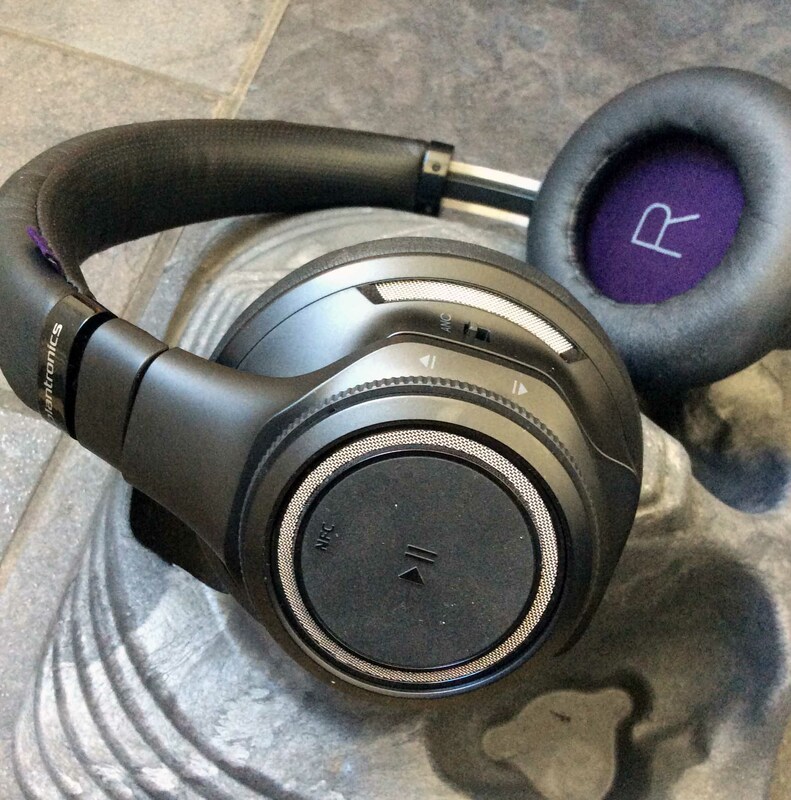 The awesome leather-like ear covers get sweaty during anything too strenuous and the headphones are pretty weighty. So, the two uses I have personally found for these are: 1) at home when I feel like dancing to some tunes, and 2) when travelling – particularly on a subway, bus or plane. Like I said, I’ve had these about a month now and haven’t really been inspired to review them. Until now. On a plane to Vegas. This environment is where these babies excel. It’s noisy, but I can’t hear anything other than my music and the quality is decent for bluetooth headphones. How have I not discovered noise cancelling before now??? I’ve lived a sheltered life. As I said at the start, I’ve never been a big over-the-ear person, so I’ve never really owned a decent pair of headphones until now. And this has been a pretty solid introduction. 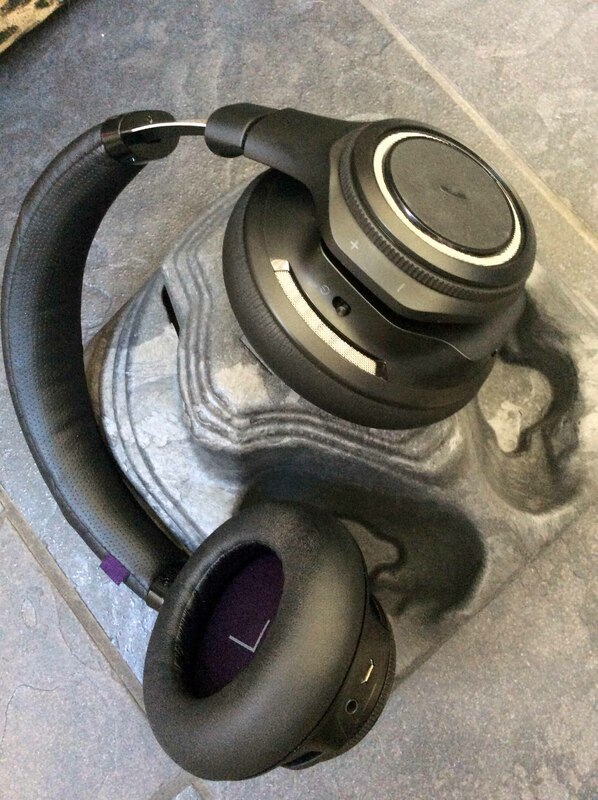 Great sound quality, superb noise cancelling (where have I been?!!? ), impressive battery life, and they pair easily with your smartphone or tablet. The cons: a little bulky and heavy. They also get a little sweaty if you do anything too active while wearing them.